It's official, growing your instagram account organically is hard! 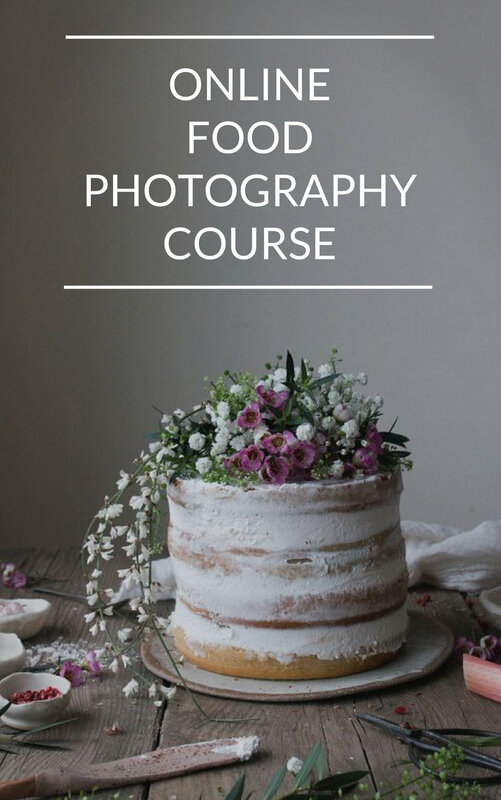 It's even tougher if you're a (food) blogger, influencer or use instagram as a marketing and business tool say to promote sponsored content, your cookbook, e-course, workshop etc. I talked a little bit about why that is in this blog post (a good, quick read to get you up to speed as is this blog post about why your instagram isn't growing), but want to explore this issue in much more detail today so that you have a better understanding of what is causing your growth to stagnate and your reach to plummet. What do I mean by trigger words and marketing phrases? Trigger words can be simple words like blog, workshop, free, download, discount, etc. or anything else that will signal to instagram that you're trying to sell something or are aiming to navigate people away from instagram onto your own platform. Marketing phrases include things like 'buy my new book' OR 'join my workshop' OR 'head to my bio to visit the blog', OR 'tickets are now on sale' etc. How do I know this is really happening? Firstly, through personal experience. Generally when I promote a workshop or a product on instagram that I am passionate about and know you'll love too it tanks; usually posts like that on my instagran gallery have very poor visibillity and reduced reach. Secondly, I have spoken to lots of my food bloggers and food influencer friends who have noticed a similar trend on their instagram posts when they promote a workshop, app or book. Thirdly, instagram is owned by facebook where the algorithms have been hiding content by online marketers, bloggers and influencers for YEARS. It's only natural that they would use that same approach on instagram. Why are the instagram algorithms doing this? Instagram wants to keep you on their platform and won't support anyone who tries to move you away from consuming content on their app. Secondly, instagram wants you to pay to gain visibility for your products via paid promoted posts. It's that simple and - in fairness to instagram - makes complete business sense. Remember, earlier this year instagram and facebook both revealed that they were prioritising content by family and friends over content posted by brands and bloggers? This means that instagram algorithms need to be able to pick up who your friends and family actually are and distinguish them from people who aren't part of your inner circle. They can do this by looking at your behaviour and interaction as an instagram user as well as by scanning captions of the people you follow scouting out marketing words or phrases like the ones I outlined above. Make sense? Is there another explanation as to why posts that promote stuff on instagram perform poorly? YES! The instagram algorithms aren't the only ones to blame. Often we - regular instagram users - don't quite know how to respond to promotional material. Example: When someone writes in their caption: I love chocolate icecream. What's your favourite flavour? We're quick off the mark with a cool and cute response. But if someone writes: Our chocolate ice cream is on offer today costing £2.99 instead of £4.99! How on earth are we supposed to respond to that? The result, we don't respond at all! This lack of engagement sends signals to instagram that the content isn't worthy and our reach plummets accordingly. What can you do about this instagram algorithm issue? 1. Use your most amazing photos to promote a product, workshop or app. If your image is exceptionally gorgeous you can kinda trick the instagram algorithm into showing your content to your audience despite your cheeky caption. 2. Promote your content at regular intervals. This way you're getting your audience used to the fact that you provide lots of free content as well as purchasable products they will love. It means your tribe isn't so taken aback when you promote something and will treat your marketing posts like any other, commenting, liking and sharing as per usual. 3. Make sure your captions are still engaging. Sometimes we go into awkward marketing mode when we want to promote something. I get it! I often feel a bit uncomfy too when I'm selling something, but keeping up your usual tone and manner when promoting your awesome products or a sponsored post really pays off! If you're your regular engaging and warm self, people's likes and comments will follow, I promise. 4. Accept that it's just one of those things. You know, if I have a great blog post up or an amazing Lightroom preset bundle for sale that I am convinced my tribe will love, I accept that my reach and engagement might take a hit. Thing is, with instagram you win some and you loose some. It can be super upsetting and frustrating, but you just gotta push through, not take things too seriously and move on #toughlove. It was during my Spring instagram food photography challenge that I had a handful of tribe members contact me to say they'd woken up one morning to find that they were no longer following me despite never hitting the 'unfollow' button! Instead, instagram had unfollowed me on their behalf without their consent! Thank goodness they'd noticed it and hit the 'follow' button once again, but it did make me wonder how many people this may have happened to, who didn't notice it. Thereafter, I did some research on google, checked twitter too and asked my tribe on instagram stories about this issue. The result: I discovered that this was definitely NOT a one off or weird fluke. Instead, it's something that's happened to many of you and it's been going on for quite a number of years. Some people say that if you are experiencing this instagram issue it may be that you have been hacked or that you allowed a third party/app to follow and unfollow accounts on your behalf etc. Neither of these two explantations applied to my tribe. When this happened to me and my tribe, I was going through quite an active instagram phase during which I experienced significant growth. I was in the middle of my instagram food photography challenge when interaction on my grid is at its best. I was doing my weekly instagram LIVES which boost engagement. I was posting daily. In short, there was lots of activity and growth happening - more than usual - perhaps triggering an alert message to instagram that I may be involved in dodgy growth tactics. To counter my rapid growth, perhaps instagram stepped in automatically and kerbed it by cutting some followers off my follower count? Though as you know from this blog post, I advise against constantly checking your follower number, but when you DO check, please know that you can't be sure that the follower number being displayed is accurate. In many cases I've found that your audience number is actually a little bit higher than what you see on your mobile phone. Again it could be an instagram glitch OR maybe instagram just doesn't refresh your follower number every single second. Instead, it's possible they update your follower count every few hours. Who knows what the exact interval is. The end result however is clear - you can't always see how many followers you really have. How do I know for sure that this is happening? Firstly, when I check my follower number on my mobile phone versus my desktop, they don't always match up. Secondly, there have been countless times where I've seen a large number of people follow me in the space of say an hour, but my follower count doesn't move an inch. Sure, it's possible that people unfollow me at the same rate as they follow me, but it seems unlikely that the follow/unfollow numbers match exactly every.single.time. What can I do about this instagram issue? Nothing ;)! Personally, I try not to look at my follower count more than once a week and aim not to get too attached to the number behind my instagram handle. I know it's easier said than done, but it really does help once you let go :). The instagram algorithms are designed to make the user experience great, NOT (sadly) to make our lives as food bloggers, influencers or food instagrammers easier. They are sophisticated machines that are nonethless FULL of flaws, glitches and other weird and wonderful mistakes. The best thing to do? I aim to keep sharing what I see and hear in my community and experience myself, just to reassure you that you're not alone in your instagram algorithm struggles. I invite you to openly discuss your ups and downs with friends and followers too because the more open we all are with one another, the better we'll understand what's really going on with instagram :). Then why not sign up to my mailing list so you can be sure you don't miss a single part of my INSTAGRAM SERIES. 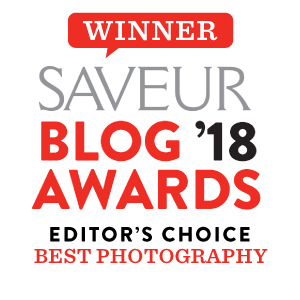 In addition, mailing list subscribers hear about my 1-2-1 food photography class dates first, get access to my FREE creative community and also get a special discount when they book a 2 hour instagram coaching session. You can subscribe to the mailing list below. WORLD-WIDE GIVEAWAY: WANT TO WIN MY INSTAGRAM E-GUIDE AND PRESET MINI BUNDLE? THIS COMPETITION IS NOW CLOSED. To celebrate THE INSTAGRAM SERIES turning 1 year old, I am giving away LOTS of goodies :)! So if you'd like to win my 30+ page mini instagram e-guide, get my Lightroom preset mini bundle and get a mini e-book outlining how I edit my images, then listen up cuz there are 3 ways for you to win! CONGRATULATIONS! ROYA IS THE WINNER. Visit my instagram gallery, follow along if you aren't already and tag two friends who you think would enjoy my presets and e-guide. Multiple entries allowed of course (enter until August 3rd). Head to my instagram stories, take a screenshot when prompted and share the image on your stories. It's that simple (enter until August 2nd). P.S. You need to have Lightroom on your desktop to be able to download my presets. P.P.S. The give-away closes at midnight BST, Wednesday, August 8th, 2018. Good luck! Older PostCAN YOU BEAT THE INSTAGRAM ALGORITHM WITH COMMENT PODS?